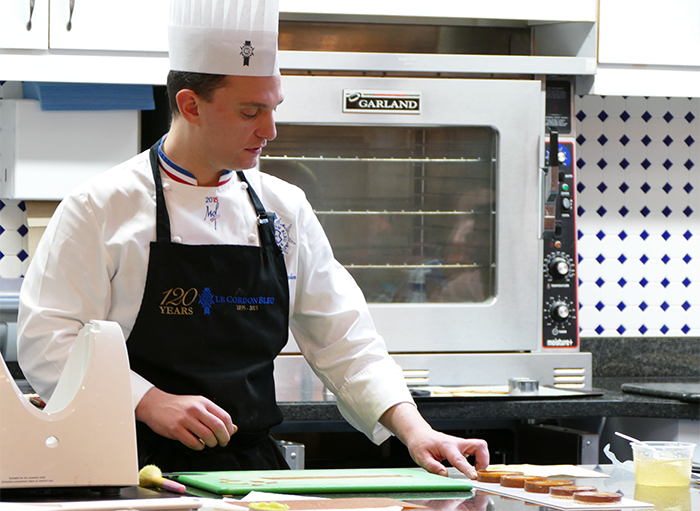 Le Cordon Bleu Ottawa Pastry Chef instructor, Nicolas Jordan, MOF (Meilleur Ouvrier de France) - featured a pastry and bouchées demonstration with the world chocolate masters’ Cacao Barry yesterday. Unlocking the sensorial richness of cacao to a room full of guests and students. 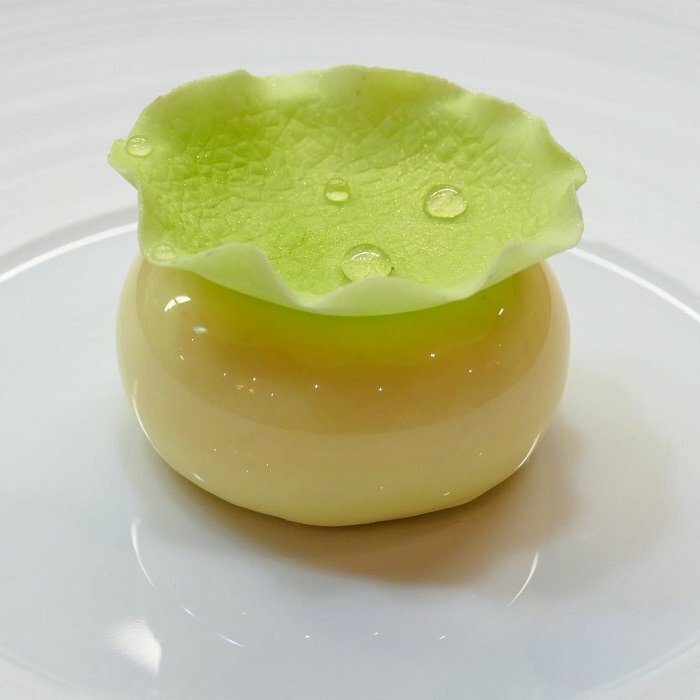 Chef Nicolas demonstrated his precise artistic techniques, presenting a delicate La Nymphea, which means Water Lilies in English, and an exquisite chocolate Délice D’Haïti Acidulé. 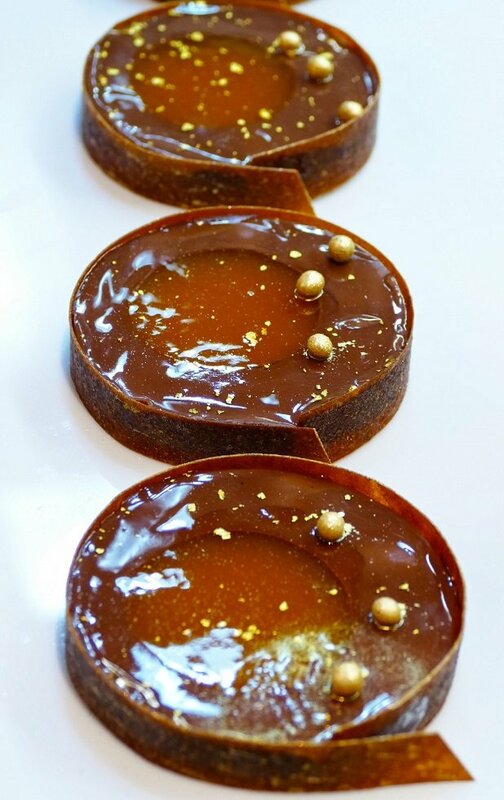 The Pastry and bouchées demo consisted of some of Cacao Barry’s finest products including: Zéphyr™ a soft and subtly sweet white chocolate, Alunga™ chocolate with a pure and intense taste of cocoa, Pistachio Paste gently roasted to perfection, Haïti a dark couverture chocolate with the lingering taste of citrus fruits and mango.